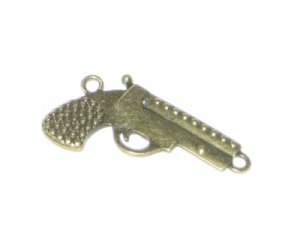 This is a 26 x 42mm Bronze Gun Pendant, fits 1mm rhinestone. Fantastic deals with great prices. I was amazed by the fast process and shipping. definitely a reorder.